Learn a bit about Malian singer and musician Fatoumata Diawara before she performs at the Cedar Cultural Center in conjunction with the Walker this Friday. 1. She is an advocate for peace in Mali. She has organized 40 of Mali’s most famous musicians to record a song and video supporting peace. 2. As a child she danced with her father’s dance troupe and would invent dances for the entire troupe to learn. 3. Before finding music, she was a film actor and appeared in La Genèse (Cheick Omar Sissoko, 1999) and Sia, The Dream of the Python (Dani Kouyaté’s, 2001). 4. Diawara ran away to France. In 2002, she was invited to perform with the French theater company Royale de Luxe. In Malian Society unmarried women are considered minors, so she needed her parent’s permission. After they didn’t give permission, she boarded a plane and performed with Royale de Luxe in various shows around the world. 5. While acting, she liked to sing backstage for her own amusement. Once heard by the director, she started singing solos during company performances. 6. While singing in a cafe during her breaks from touring she met Cheikh Tidiane Seck, the Malian musician and producer. Seck invited her to travel with him back to Mali to work on two projects as chorus vocalist; Seya, the Grammy–nominated album by Malian singer Oumou Sangaré, and Red Earth, the Grammy–winning Malian project by American jazz singer Dee Dee Bridgewater. 7. 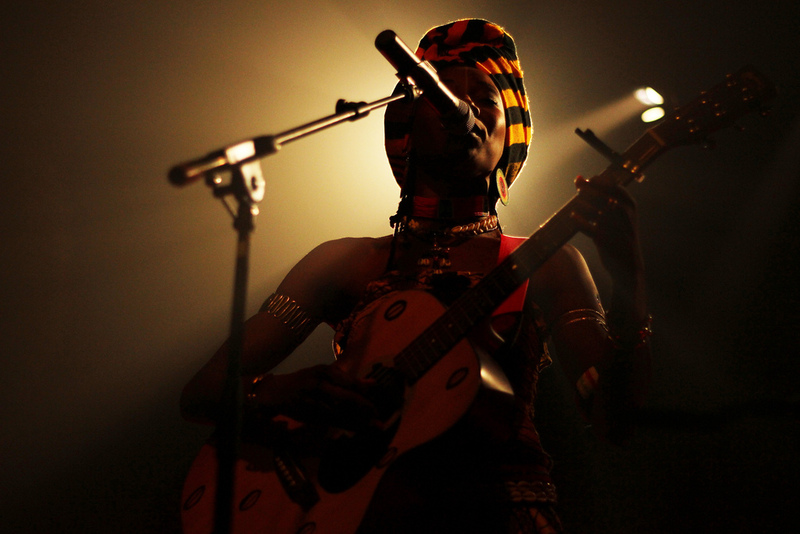 Diawara’s EP Kanou was released by World Circuit in Europe in the spring of 2011, followed by her debut album Fatou in the fall. Nonesuch released the Kanou EP in the US fall 2011 and Fatou was released last August.